Why is Okotech the best uPVC profile factory in India? The uPVC industry is an exponentially growing market in India. With hundreds of uPVC players in the market to choose from, it is quite difficult to ascertain who makes the best in-line uPVC profiles. Only a handful of uPVC market players have what it takes to produce premium quality uPVC profiles. In order to produce top-quality uPVC profiles, it is prudent to have a world-class uPVC profile factory. Okotech has been one of the leading brands in the uPVC industry with a top-notch uPVC profile factory. Okotech has a state-of-the-art extrusion facility in its uPVC profile factory. The uPVC profile factory is equipped with first-rate German extrusion lines. Okotech manufactures all of its uPVC profiles with a superior resin mix and uses higher proportions of Titanium Dioxide (TiO2) along with modest levels of Calcium Carbonate (CaCO3) to make the profiles robust. Only a few uPVC profile factories adhere to this practice. Okotech’s uPVC profile factory adheres to the European market standards and manufacturers all of its profiles with precision German technology. Hence every meter of Okotech uPVC profiles is precisely engineered and has great dimensional accuracy and surface finish. For manufacturing any product, machinery is a necessity. A huge percentage of the product being flawless is dependent upon the machinery used. 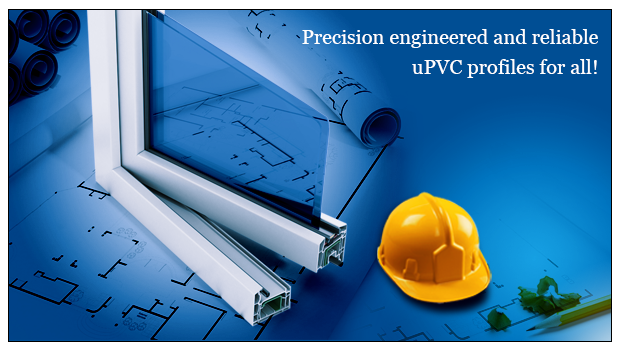 In Okotech’s uPVC profiles factory all of the machinery used is latest and is NABL accredited. This enables the uPVC profiles factory to develop the best in-line profiles which guarantee strength and resilience. Okotech’s uPVC profile factory exhibits stringent quality checks. Their internal quality check and production teams constantly monitor the quality of all the products manufactured. The internal review is continuous and is carried out 24/7. Each uPVC profile undergoes 18 strict quality parameter checks before being certified as an Okotech profile. Along with the quality checks, the Okotech uPVC profiles factory is one of the cleanest factories in place which ensures that there is no physical contamination in the profiles. Okotech believes in delivering high-quality uPVC profiles and wants all of its customers to understand the manufacturing process of their uPVC profile factory. To understand us better, explore https://okotech.in/ . cPVC verses uPVC profiles a comparative study. How does Okotech fabricate 10 feet sliding door systems? © ÖKOTECH. Built by Creative Open.